PatriarchPhotius is a Legacy Library. Legacy libraries are the personal libraries of famous readers, entered by LibraryThing members from the Legacy Libraries group. » St. Photius the Great's catalog. 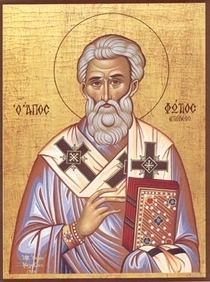 » St. Photius the Great's legacy profile. PatriarchPhotius is also an author. » See Saint Photios's author page.